Scrubbable, washable or easily cleanable paints and coatings are extra durable and ideal for high-traffic areas that require strict hygiene standards, and where walls and ceilings may be rigorously washed down. Areas of strict hygiene that require long-lasting, colour retention, easy-to-clean and anti-bacterial paints would benefit from using an endurance grade product, like those found in this section. Examples of environments where scrubbable paints are often required include hospitals and medical health centres, where tough and dependable wall, floor and ceiling coatings are required to help fight the spread of bacteria. Extreme environments will also benefit from many products’ stain resistant specifications, too. 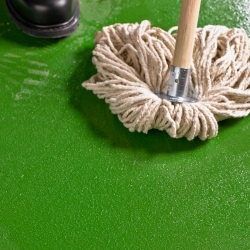 To keep a surface area looking like new after intense cleaning regimes, harsh cleaning products, and constant scuffs and dirt, use a high-quality scrubbable paint. A tough, water based acrylic varnish to provide the finishing touch on interior wall paints when a high mechanical resistance is required. Rust-Oleum 9200 Rust-O-Thane is a satin, water based polyurethane for a very durable and colourfast finish on coated floors, walls and primed metal. Especially recommended where general urethane performance like excellent weather resistance (UV), easy cleaning and abrasion resistance is required. Rust-Oleum's hard wearing, washable polyurethane coating (9200) is now also available in convenient 1 litre packaging. Ideal for smaller projects the new convenient 2-component packaging provides the base and activator in one convenient kit and the activator is supplied with a user-friendly spout cap. A clear, water based glaze for untreated wallpapers to help prevent dirt pickup and aid cleaning of the paper. Cleaning of surfaces coated with a scrubbable paint will vary product to product, but most can tolerate general cleaning detergents, fluids, etc., but for more extensive and corrosive marks, use a mild cleaner as prescribed in the product’s data-sheet. As with all specialist paints and coatings, to use cheaper, related products – or even completely incorrect use of gloss paints - could mean that the product has a very short service life, as the finish is worn away from repeated washing or that very quickly dull streaks are left on a clean surface. Multiple coats of a cheaper product also will not be able to compete with the high-performance products available at Rawlins Paints. Investing in scrubbable coatings will improve your hygiene levels and ensure that aesthetics and visual appearance remain excellent, whilst the protective coating itself can be easily cleaned of bodily fluids, grease and grime, oil, fatty substances, putrid water leaks, nicotine smoke stains, finger-marks, ink, paint, scuffs, coffee and other hot drink spills, and more. 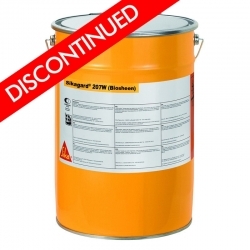 If you are unsure as to whether you require a scrubbable paint to improve the lifespan of a surface, or simply to save on future redecorating costs, please contact our technical support team, as whilst these products are very durable and offer excellent anti-bacterial properties, they are designed for use in specific situations and workplaces.